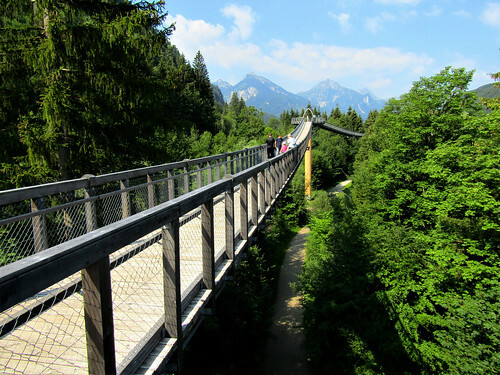 This treetops walk is located at the Walderlebniszentrum(forest adventure center) in Ziegelwies, close to the Lechfall in Füssen. 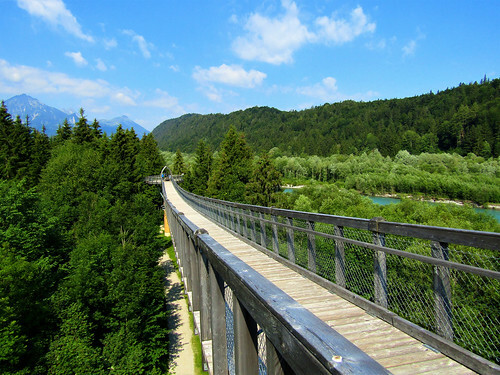 It crosses the Austria-Germany border and offers magnificent views of the surrounding area. 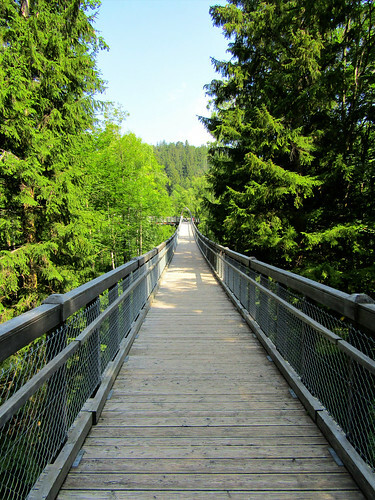 The length of the path is 480 m and its highest point is 21 m above the ground. You can access the path either from the Austrian or the German side. 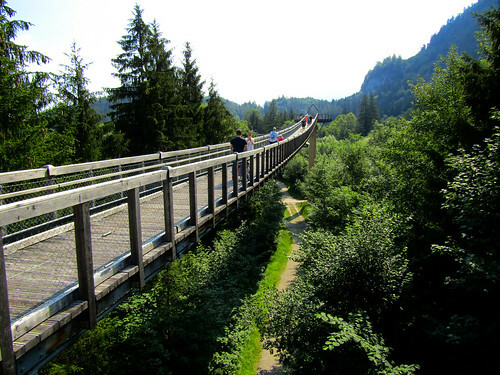 Besides having a treetop walk, the Walderlebniszentrum also has 2 hiking trails which are ideal to visit with children. 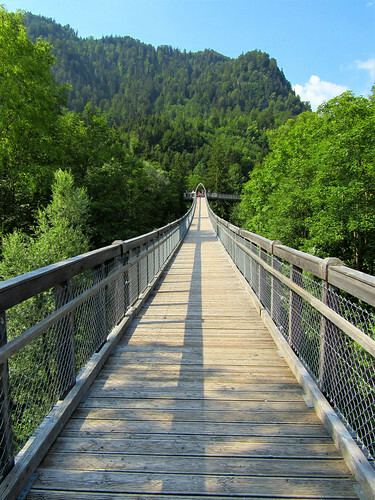 The Auwaldpfad(river forest trail) is 1,5 km long and the Bergwaldpfad(mountain forest trail) is 1,7 km long. Both paths are located in Ziegelwies and start at the forest adventure center.